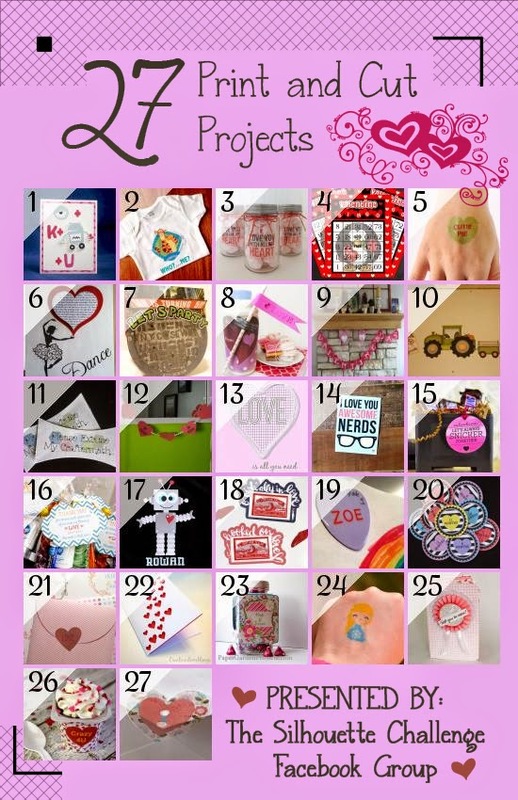 I’ve shared quite a few Valentine related projects with you these past couple of weeks. Now that the holiday is just a few days away I figured I should probably do something for my husband. 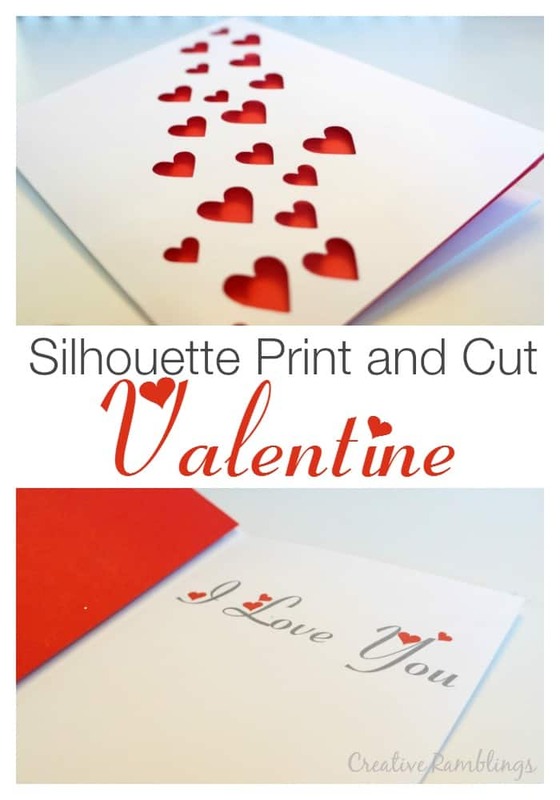 We don’t plan on getting each other big gifts so I chose to make him a simple print and cut valentine card with my Silhouette. This will go perfectly with a nice dinner (with the kids) and some chocolate. I love the versatility with this machine. I was able to design a card, print a nice sentiment, and cut a design on the front. I started with a simple “I Love You” in Fiolex Girls font. I created a rectangle 8.5″ by 5.5″ and placed the text on the rright half. On the left, I added a trail of small hearts. Print and cut is pretty straight forward. I set up my card then made sure to uncheck the “print lines of selected shapes” in the line style menu for all of my cut lines and kept it checked for my words. I also turned on my registration marks before printing my card. These marks are what make the card cut properly after its printed. Once printed I fed the card on my mat into my Silhouette. Before printing, I checked to make sure all the appropriate cut lines were turned on then cut my card. 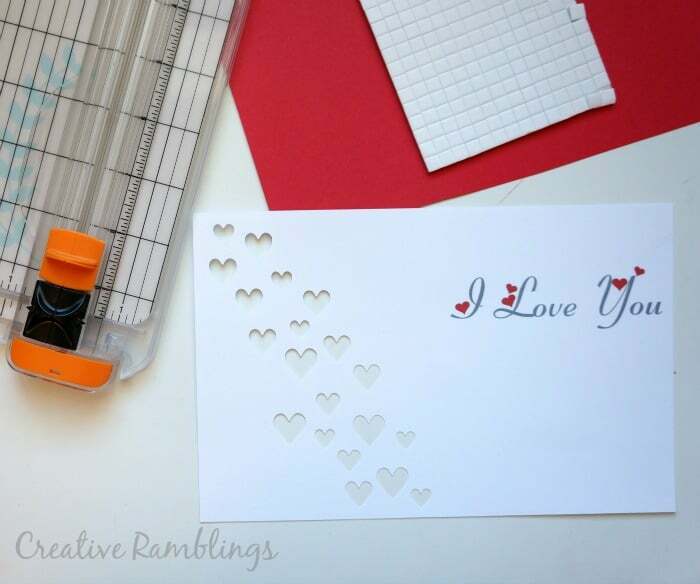 To assemble the card I used a couple foam adhesive squares to attach a piece of red cardstock to the back of the cut out hearts. 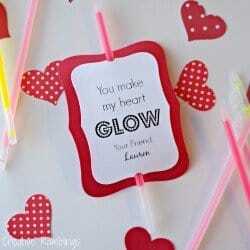 And that is my simple Valentine card. 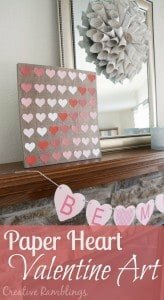 I love how this turned out, I am going to have to use this technique for other occasions. 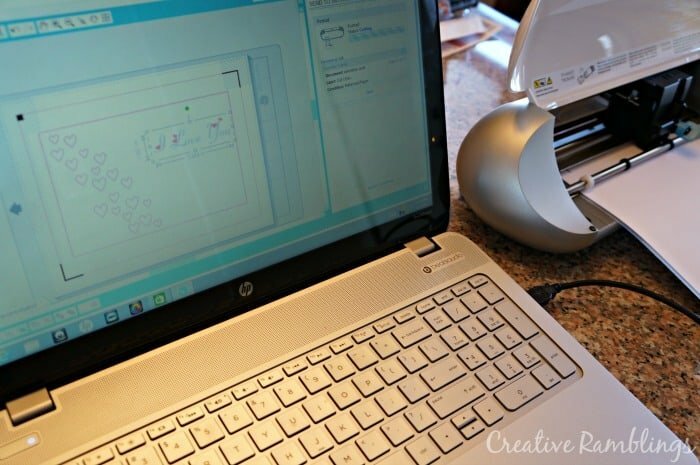 Want to Check Out More Silhouette Print and Cut Projects? 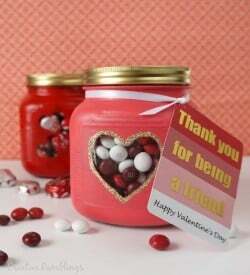 A little more Valentine inspiration for you. 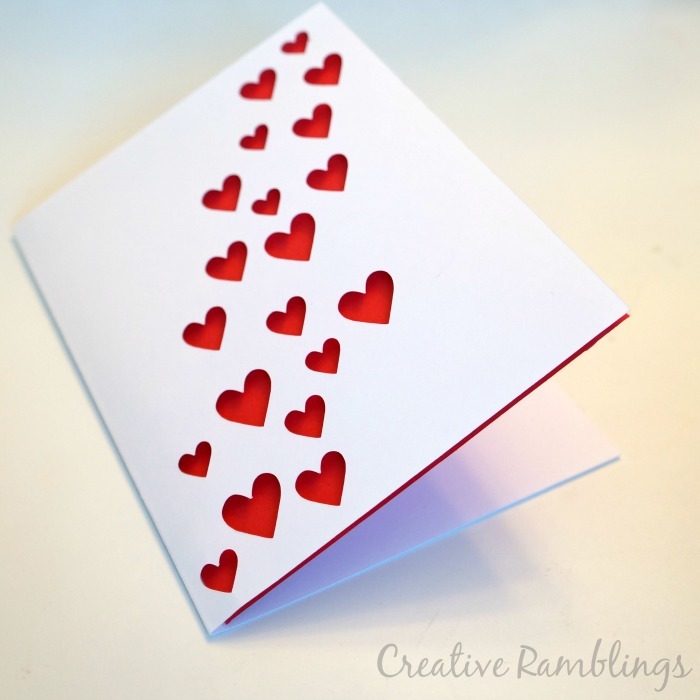 Very sweet card – I love the layering behind the cutouts. Thank you very much Cathy, that’s my favorite part too. Love this card. Clean and simple excellence. What a beautiful card. Simple, but elegant! Thanks for sharing your process to create it! Thank you Amber, happy to share. The print and cut feature is my favorite! Thank you for sharing!